White cough mixture. 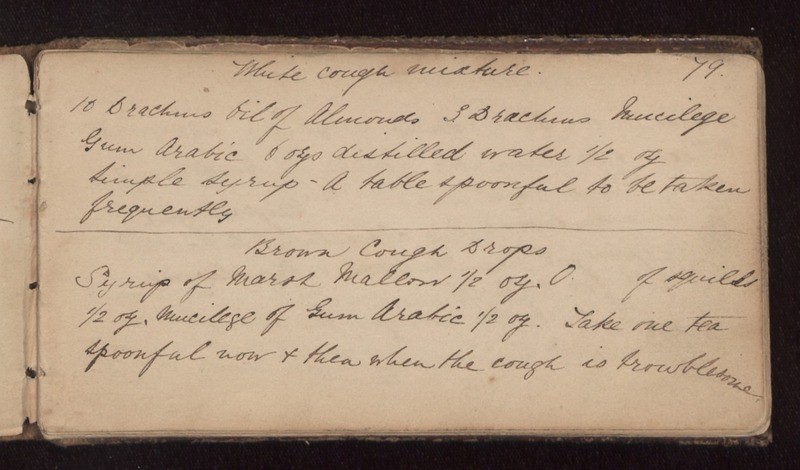 10 drachms oil of almonds 3 drachms mucilege gum arabic 6 oz distilled water 1/2 oz simple syrup - a table spoonful to be taken frequently Brown cough drops Syrup of marsh mallow 1/2 oz. O of squills 1/2 oz. mucilege of gum arabic 1/2 oz. Take one tea spoonful now & then when the cough is troublesome.